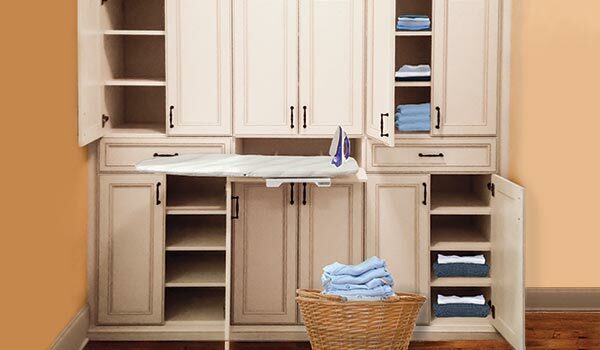 Many homes do not have enough storage. 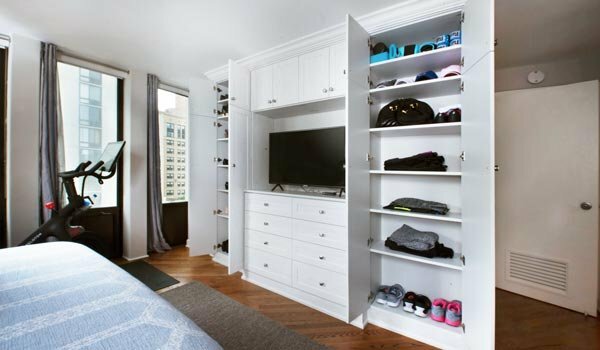 They were either constructed in an age when standard closets were tiny, or the home was simply not designed with enough built-in storage space to fullfill the needs of modern homeowners. 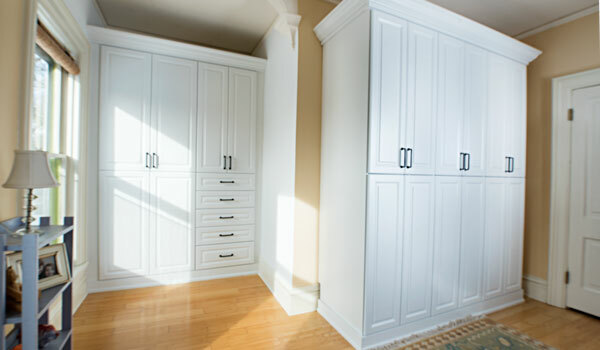 If insufficient storage is your problem, Closet Works can help! 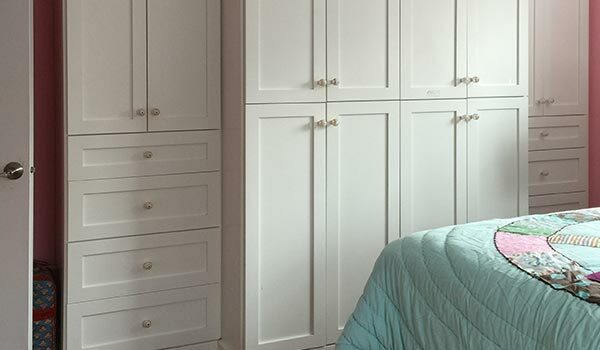 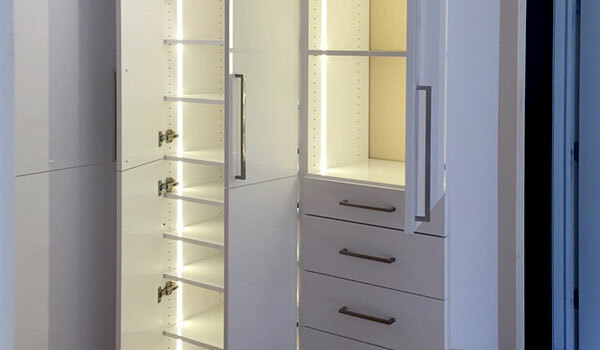 Our experienced designers have developed a multitude of closet storage systems intended to be to be showcased "outside the closet" and able to handle the storage needs of modern wardrobes. 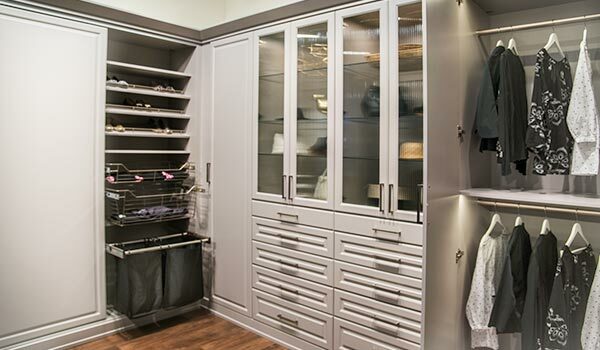 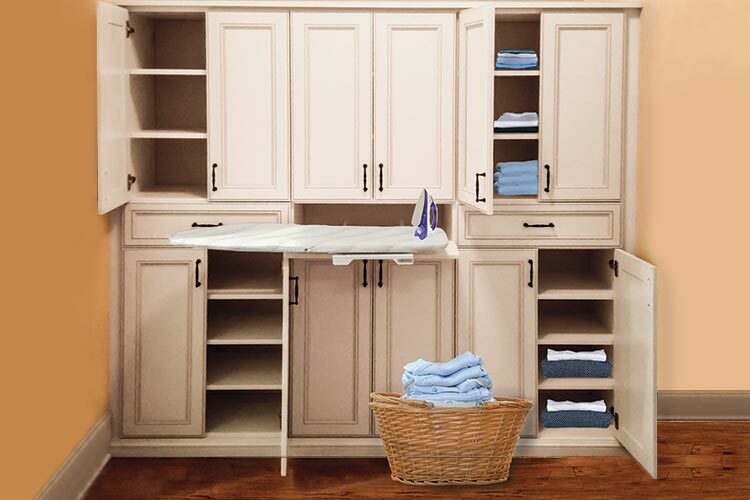 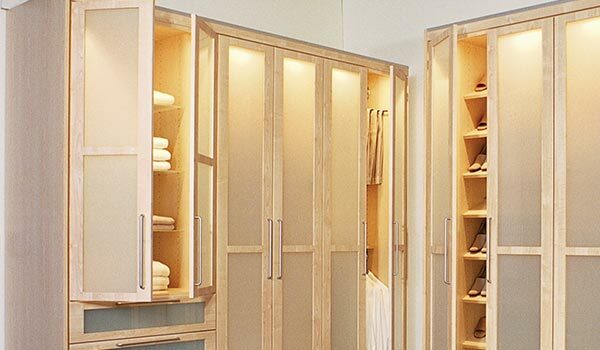 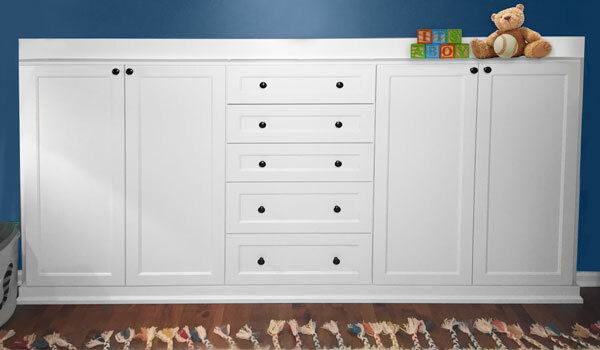 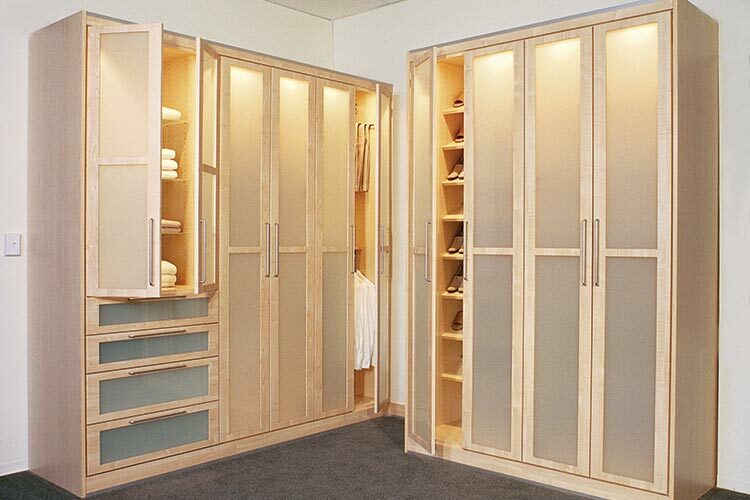 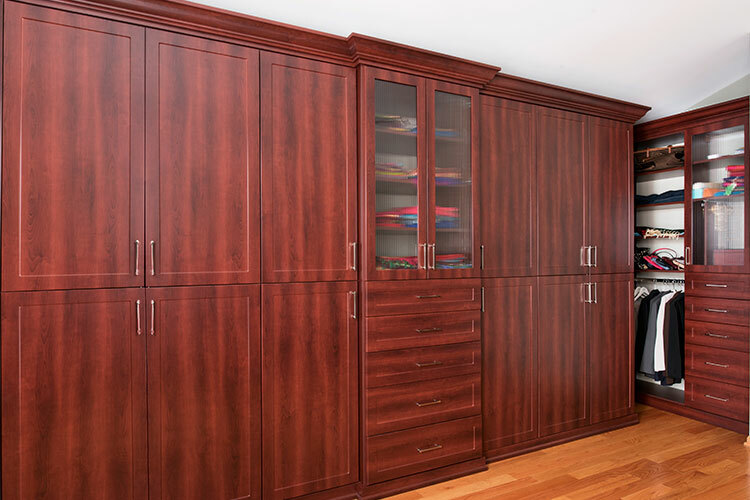 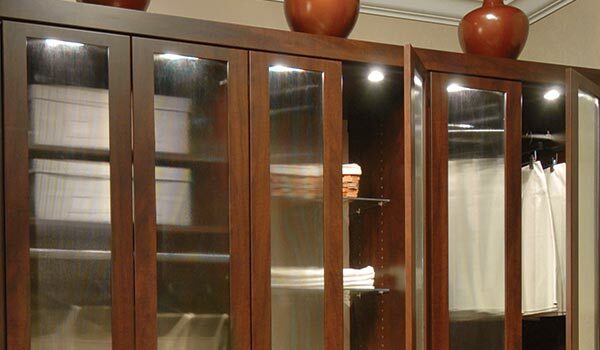 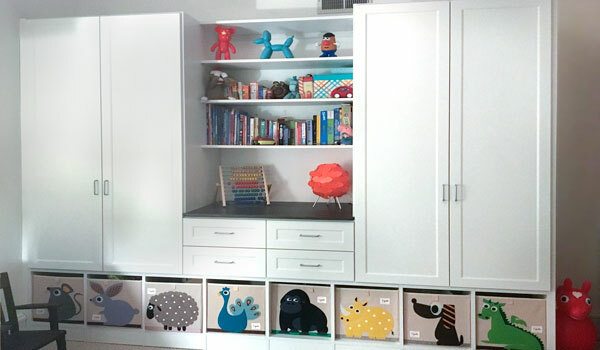 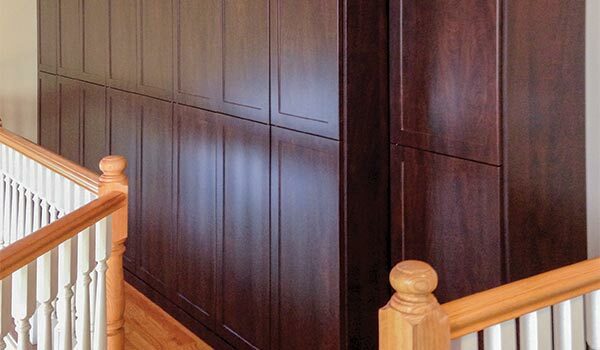 Through the use of doors, glass panel inserts and drawers, a beautiful wardrobe closet can be constructed that any homeowner would be proud to have out in the open, while solving their most pressing storage needs. 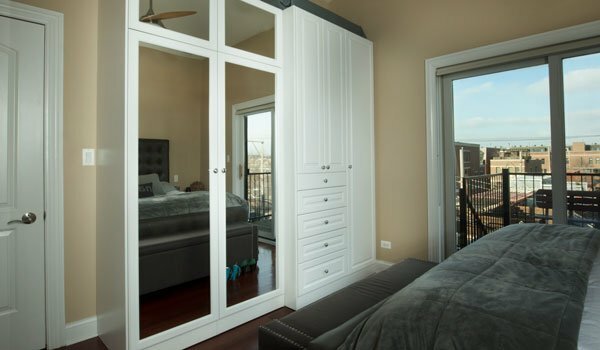 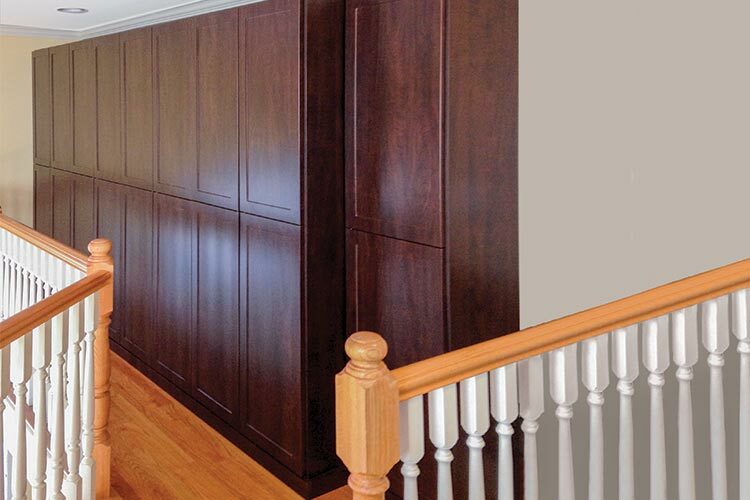 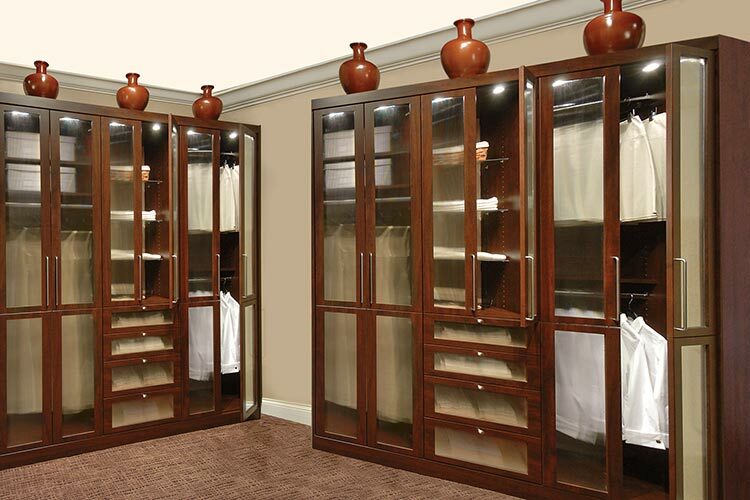 Wardrobe Closet Project Gallery: Click on any photo to view details and get the story behind our custom wardrobes.